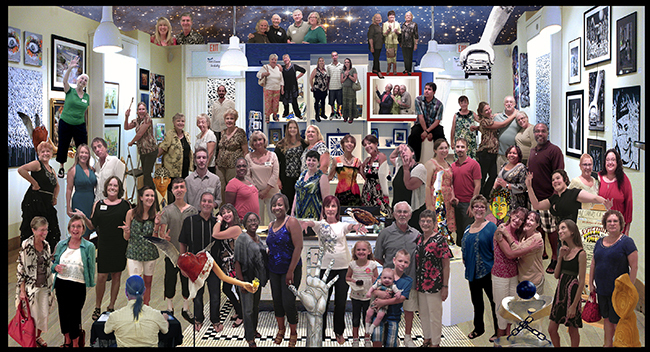 Last September at the opening of 'Something to Talk About', Jerry Hanzl, digital artist and Creative Director at Art Gallery of Viera, wowed the crowd at his first Digital Happening. 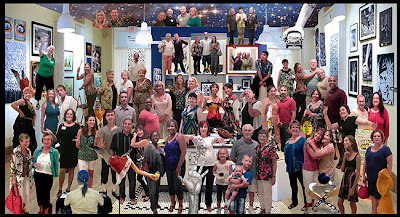 It was an interactive event where guests were photographed and then placed into a digital collage live during a 3 hour gallery reception. These are the before and after images. This September, Art Gallery of Viera is hosting, 'Art and Technology', opening Saturday, September 14th from 6 to 9 pm. During this event Jerry will return to amaze you with a whole new bag of digital tricks. His wife, Cher, will again be photographing the guests and artists and Jerry will use those images to create a wild and imaginative slideshow. This evening will highlight the power of digital photography and Adobe Photoshop, one of Jerry's favorite tools. 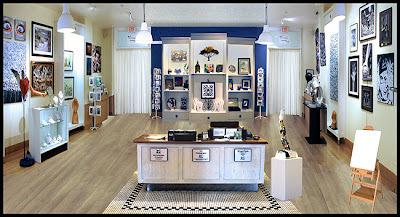 Come and join in on the fun and be a part of the art. You may wind up with a sombrero and mustache, chased by wild dogs or in an abstract fantasy.